Review: AutoSock improves traction for passenger vehicles. 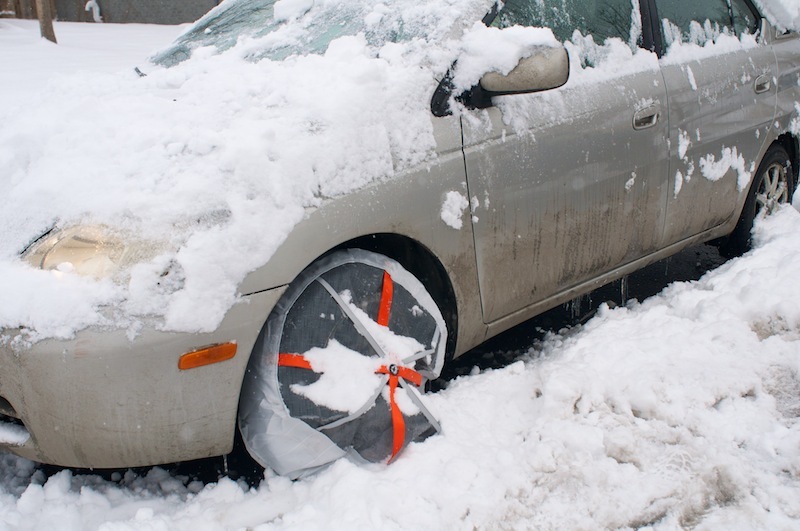 If you want to turn just about any car into a snow-crushing monster, simply add chains to the tires. One downside: Chains can be cumbersome to install. Enter the AutoSock. 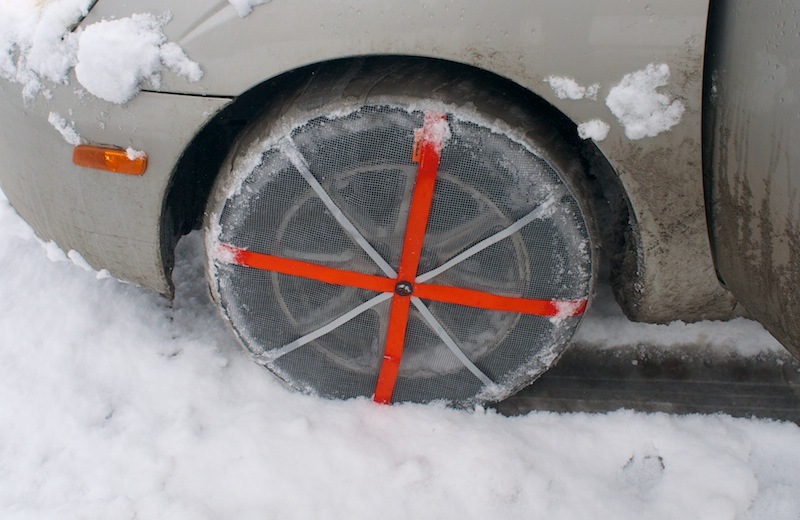 This textile alternative to chains has been used in Norway for a few years to improve traction on icy and snowy roads. We gave it a test, and found that the socks do improve traction but come with a few caveats. Here’s my breakdown from a first test. 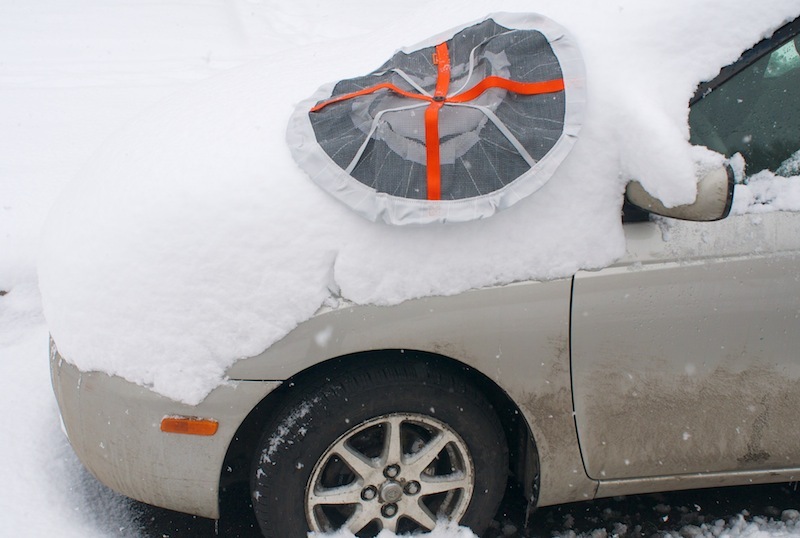 UPDATE: AutoSock is now an approved traction device for use on passenger vehicles in Colorado during Traction Law (Code 15) and Passenger Vehicle Chain Law (Code 16) enforcement. Price: Varies by size, but around $100 for small cars (to $250 for large vehicles). 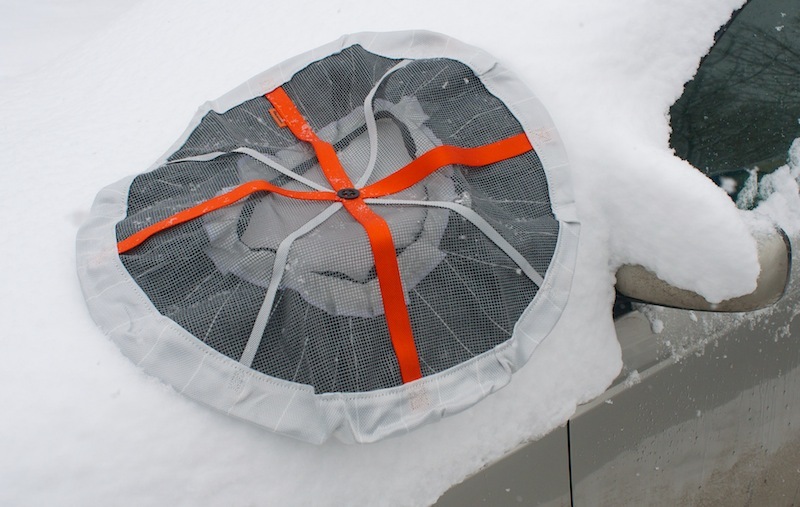 First Impressions: The AutoSock comes in a flat plastic bag that weighs a couple pounds. The package takes up very little room in the trunk and can probably be stored with your spare tire and jack. The material feels like a tough textile, reminiscent of Cordura, and it won’t beat up other items in your trunk. The Test: I tried the AutoSock on the lightest, most “urban” car I could — a Toyota Prius. I waited for a snow storm to strike Denver, let the streets ice up, and strapped the socks to the tires to go for a drive. Installation: Mounting the socks on the tires was easy. You put the socks on the drive wheels (front in this case) by pulling the circular, elastic product around the tops of the tires, driving forward slightly, and completing the tire “wrap” with the now-exposed remainder of the sock. It took me less than five minutes the first time, and I was taking photos. You could probably install them in about two minutes after a couple practice rounds. 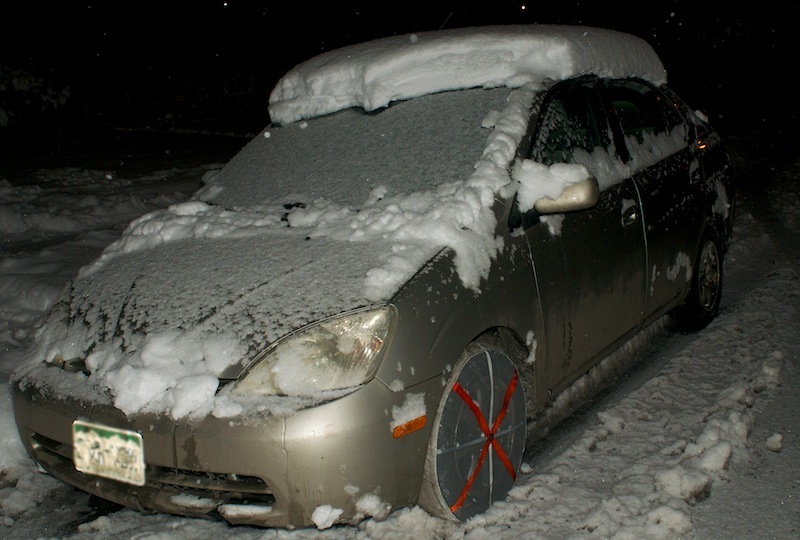 Driving: With my car well snowed-in, I pulled easily away from the curb with no tire spinning. “Impressive,” I thought, as I’m accustomed to lots of dramatic tire spin in these types of conditions with the Prius. I zipped around quiet neighborhood streets, alternately hitting the gas and the brakes. While the tires still spun when I floored it, traction was quite good given the icy conditions. Braking was also good, with the car stopping well on the snow-covered road. No-Sock Control Test: I took off the sock (reverse of installation, also easy) to find out if they really made any difference. Without the socks, the Prius spun its tires and struggled to get up to speed. Stopping was even dicier, with the ABS working overtime to keep the tires spinning and me working the wheel to keep the car pointed straight. Compared With Chains: I don’t have chains for the Prius; in bad weather or off-road I drive a truck. But I don’t see the socks replacing chains. Yes, the AutoSock worked well in a short urban test on slick roads, but if I were headed into the snowy backwoods with a 4×4, I’d still choose chains for their ice-and-snow-chewing supremacy. Durability: After my brief three miles of testing, I noticed a few small holes developing in the sock. I admit that I drove much more aggressively than normally recommended with a traction device on snow and ice, but I was still surprised by the wear. I suspect that if you drive more sanely, they will last at least long enough to get you out of trouble. Who’s Should Buy Them: Drivers who face slippery road conditions, particularly with small 2wd cars, on highways, residential roads and urban streets. For those who may need the occasional hand getting up a steep, icy hill or snowy commute, these will be the difference between arriving easily at your destination and a possible trip to the ditch.